Kris’ Fish and Chips is closed today, May 5th, 2016 for renovations. We are updating the bar, patio and our front workspace so we can continue to serve you better. Come in soon to check out the updates! 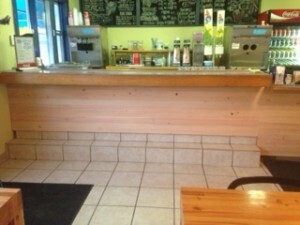 Notice the reclaimed Fir counter tops! Congratulations Polar Bear Runners and Cyclists!